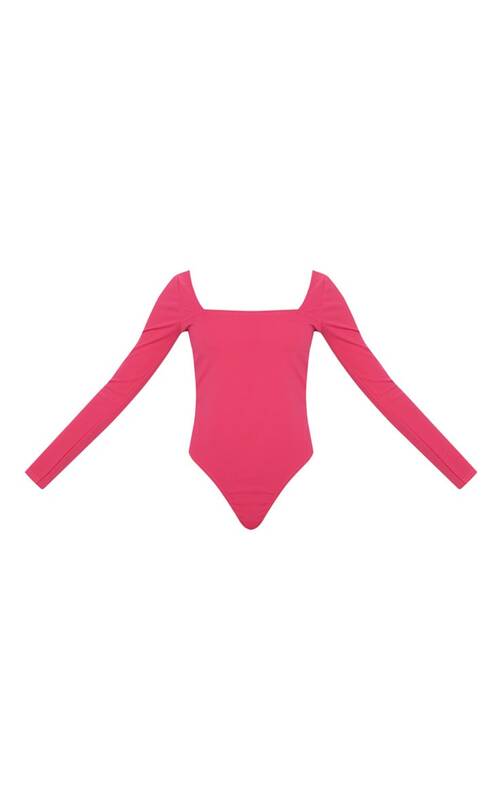 Pink to make the boys wink, we are loving this bodysuit doll. Featuring a hot pink fabric with a square neckline, long sleeves and thong back, you can't go wrong! Style with a black PU trousers and mules for a look we're loving.